As Lydia untangles the mystery of Joey’s suicide, she unearths a long buried memory from her own violent childhood. Details from that one bloody night begin to circle back. Her distant father returns to the fold, along with an obsessive local cop, and the Hammerman, a murderer who came into Lydia’s life long ago and, as she soon discovers, never completely left. 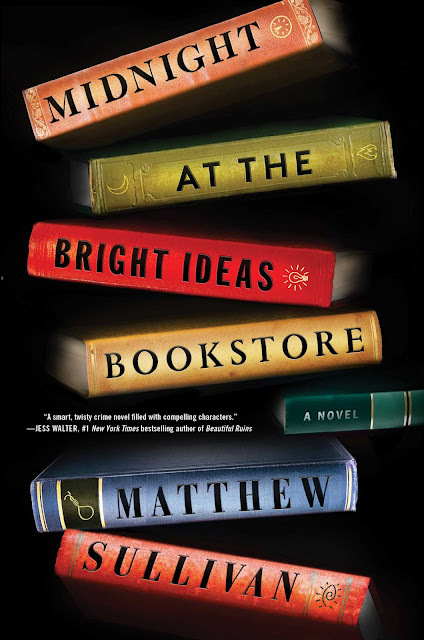 Bedazzling, addictive, and wildly clever, Midnight at the Bright Ideas Bookstore is a heart-pounding mystery that perfectly captures the intellect and eccentricity of the bookstore milieu and will keep you guessing until the very last page. Think that book stores are safe havens for bookworms? Not in this novel. Here it is the chilling scene of a suicide. Sullivan sets up the scene superbly in the first chapter, and the sound of falling books have lost their innocence for me. From then on, it is a mystery within a mystery. How is Joey's suicide connected with Lydia's terrible past? Some of the clues leading up to the unfolding of secrets seem too elaborate. However, they're bookish clues so I was hooked nevertheless. I'm just going to go straight to it -Golden Son is the best book of the trilogy and is so far in my top 5 reads of 2017. 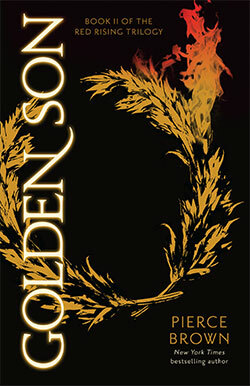 Golden Son suffers none of the ills of the dreaded middle - in fact is better than the phenomenal first book. Brown addressed some of the problems of Red Rising and made this installment a jaw-dropping, twist-laden, make-sure-you-have-the-next-book-ready ride. Just when you think that Darrow's reached the summit, he falls lower and harder than before and I just wanted to devour every minute of him clawing his way back to the top, then beyond. Complex characters, loyalty, ideals, friendship and not to mention a phenomenal plot. Loved it, loved it, loved it! A Shadow Bright and Burning by Jessica Cluess is an inventive and delightful fantasy set in alternate London. Its world reminded me somewhat of Jonathan Strange and Mr. Norell - full of stuffy male sorcerers who cling to outdated tradition and rituals. Henrietta is the spitfire would-be sorceress prophesied to be "the one" who enters their ranks and by book's end, turns everything upside down. I quite enjoyed Henrietta's rebellious and witty personality; however, I was confused about the magical heirarchies of this world. I was never sure what the difference was between a sorcerer and a magician, the distinction being a being significant plot point in the book. Nevertheless, this feminist magical YA gets a solid recommendation from me. "At the Brimthorne School for Girls, we try to curb female waywardness and insolence." "It struck me as odd that most sorcerer women belonged solely to antiquity, as if the glory of female magic were some crumbling myth to be debated by scholars." "Because I've seen how a woman is treated when she dares to step outside her domain." I'll admit that I wasn't too keen with the beginning chapters of this book. Too many points of view. Too many characters. It was difficult for me to see how they would all tie together and why the author chose this disorienting style of unfolding the narrative. 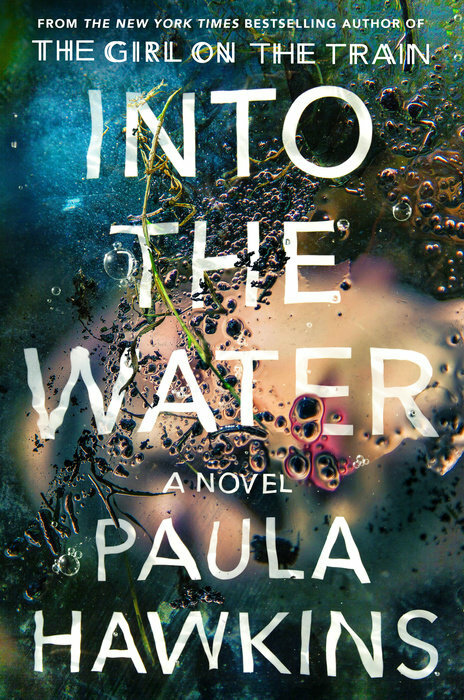 However, around the 100-page mark, I began to be truly invested in the characters and the sinister mystery of women, girls ending up drowned in the river. Is there a serial killer or killers over the course of many years? Is the river itself a supernatural, evil entity? With every twist my guess as to who was responsible changed -floundering in the dark eddies of the plot. I'm glad I persevered through to the confusing start to get to the powerful later chapters.